My Lipstick & Lipcare Hacks. The back of my hand turns into a swatch palette every time I walk into Sephora or any makeup store. This however is not an effective way of knowing exactly what works best on your face, but helps with finalizing the colours you want to try and also testing the textures of the lipstick. 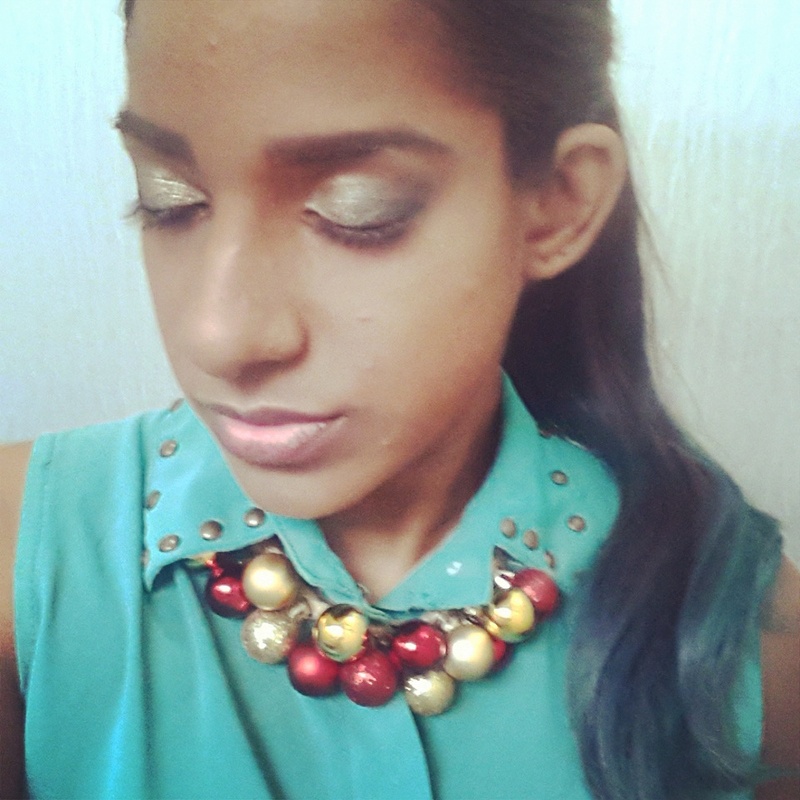 I have darker pigmented lips which means I need a proper high coverage lipstick to make it look good. Trying on the back on my hand helps me see what sort of coverage the lipstick can potentially give. 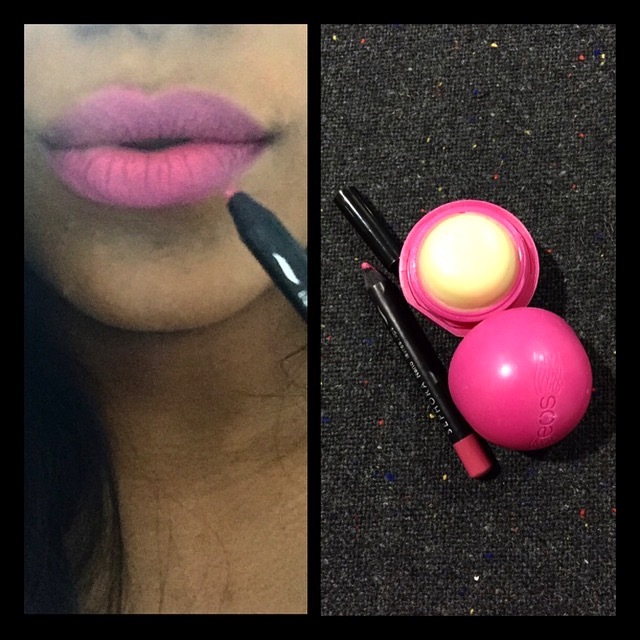 The best way to see what suits your lips, is by actually trying it on your lips. However when it comes to testers, it’s not really something most people are comfortable with trying. I carry makeup wipes, so I wipe of a layer before testing. Alternatively you can just use a tissue and wipe it clean before trying. Most makeup stores already provide tissue for you, making it easy to try on & easy to remove. 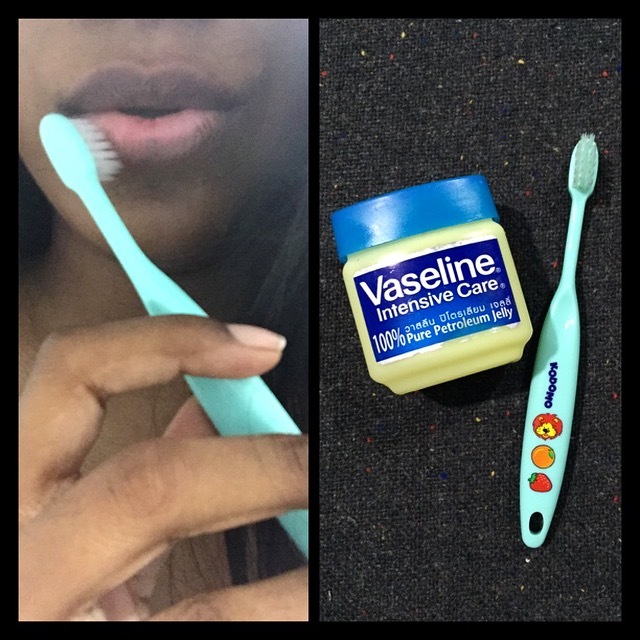 I use Vaseline for about 5-10 minutes and then gently scrub it off using a baby toothbrush (because of it’s super soft bristles and small size). 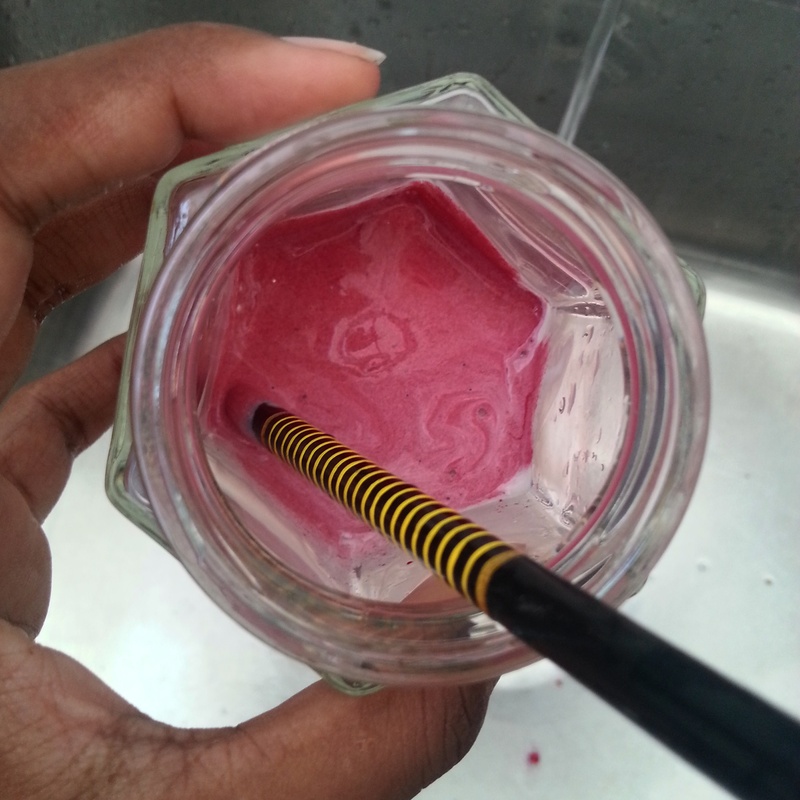 Alternatively, I make a homemade lip scrub using a teaspoon of honey and sugar, again gently scrub. This helps with removing the dead skin and exposes the soft lips underneath. Lip exfoliation should be done weekly to ensure your lips become moist which definitely helps with lipstick application & also to help remove lipstick stains when you want to remove it. Moisturizing your lips after brushing your teeth before bed is a great way to keep your lips healthy. 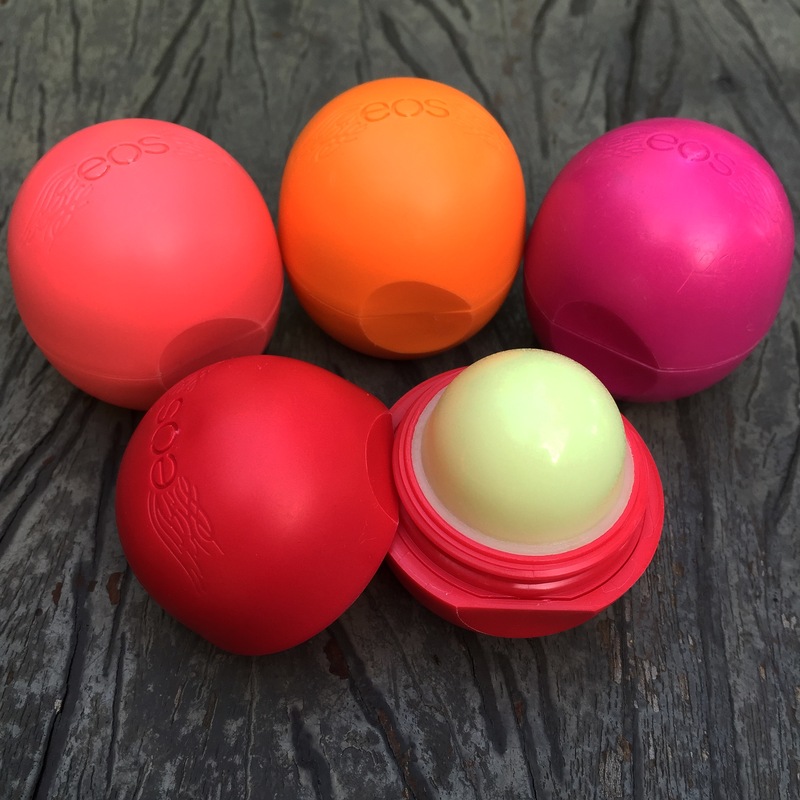 I’m a sucker for the EOS lipbalm, feels good & tastes good too; EOS stands for Evolution Of Smooth, which is a perfect name for this product that does exactly that! 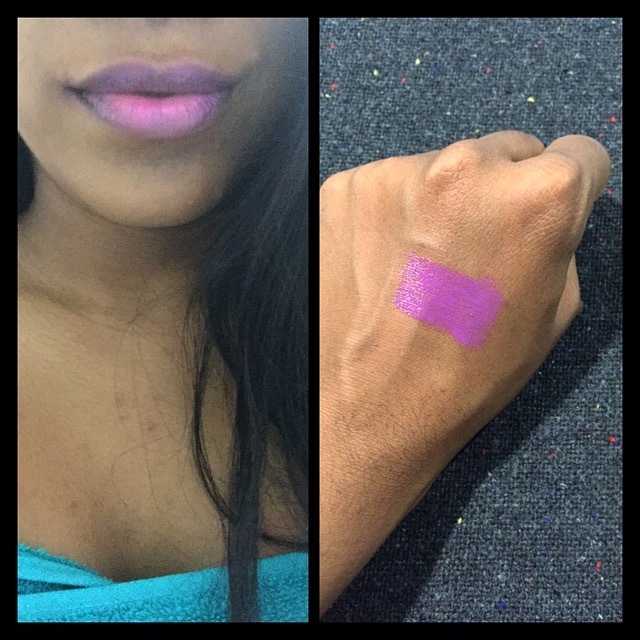 It provides moisture to the lips without being sticky & also has a sweet after taste. I got mine from It’s All About Charity. They have a large range of flavours and the best part? All proceeds go to charity! 3.No more lipstick on teeth! This is a common thing that happens. 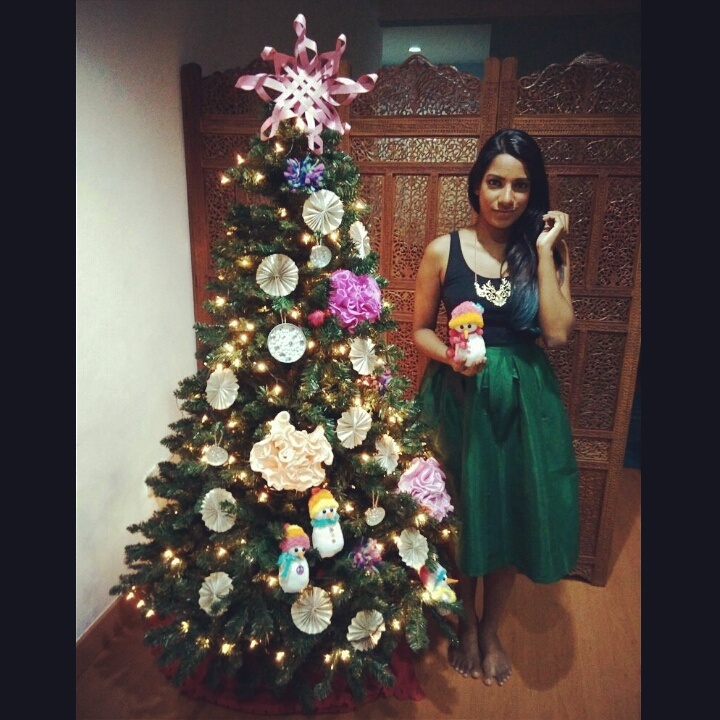 You get all dolled up, and then bam! Lipstick stain on your teeth when you least expect it. This can be prevented by putting a finger in your mouth, closing your lips around it and gently pulling it out (sounds so sexual, I know but this trick works!). 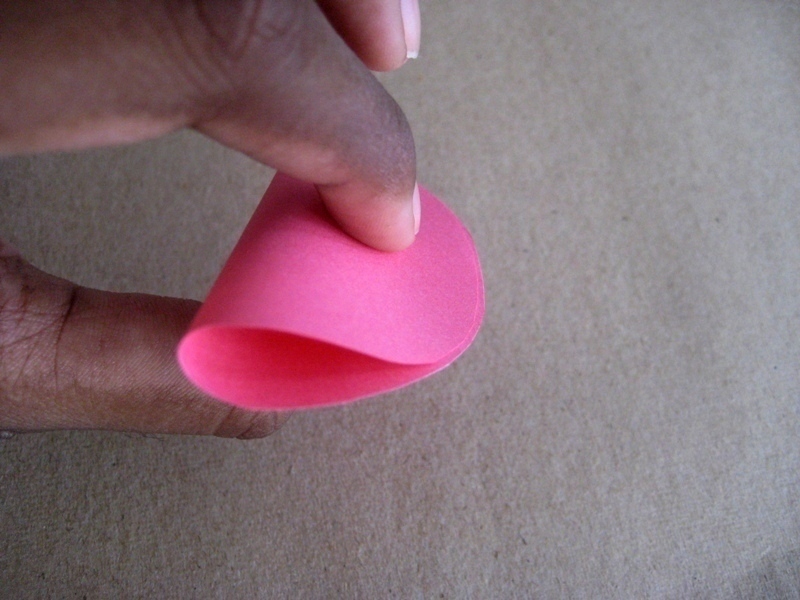 Any residue of lipstick will stick onto your finger and all you need to do is wipe it off. No more embarrassing moments of having lipstick on your teeth! 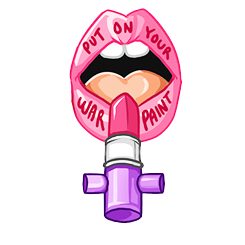 Help your lipstick have a longer life span by setting it. Once you’ve applied the lipstick on your lips, blot it, reapply and then hold a tissue over your lips and dust translucent powder over it gently. This enables the powder to gently go through the tissue and help sets your lipstick the same way it does the makeup on your face. No translucent powder? No problem, baby powder works just as well but make sure it’s an extra light coating. Sometimes my lipliners double as lipstick, and they last longer too! There are times when I fall in love with a specific lipliner colour and am unable to find a lipstick that works with it, so this is my alternative. Just use the lipliner as a base by lightly colour it in, apply a small dab of balm (to keep it smooth and not dry out), then use your fingers to smudge it to give a finishing look. 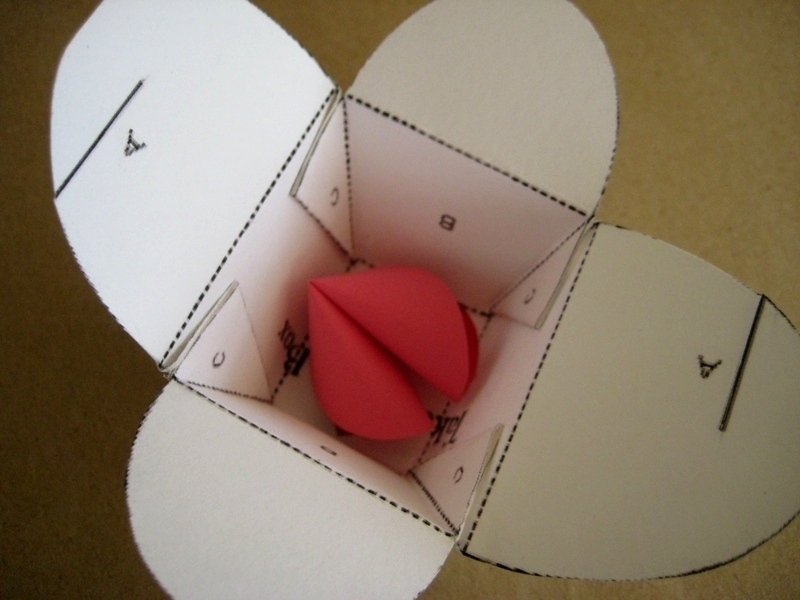 DIY: Valentine’s Day Paper Fortune Cookies. 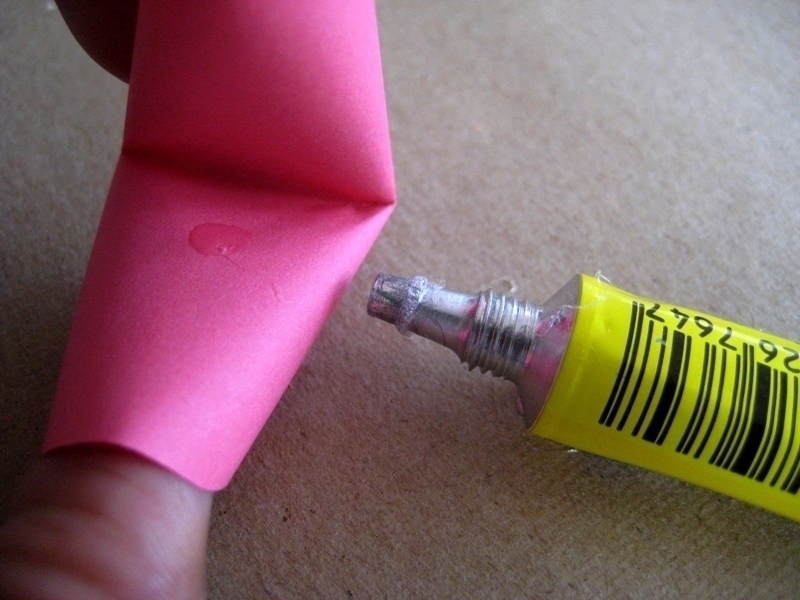 Browsing through an old craft blog I created, I stumbled upon this tutorial that I published 5 years ago. Valentine’s Day fortune cookies! I made these as little party favours & decided I’d share it here as well. 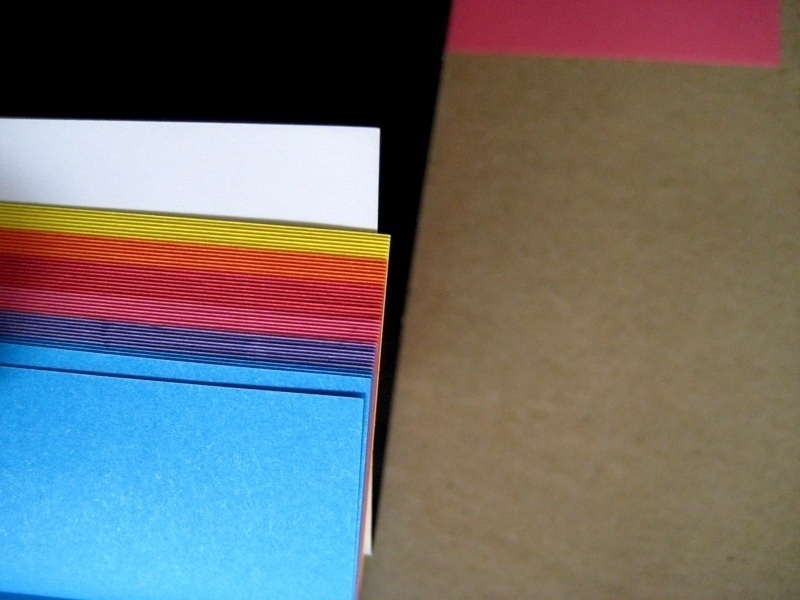 Step One: Choose the colour you want your paper cookie to be. I usually use textured brown paper, to make it look more realistic but since it’s for Valentine’s Day, I opted for pink instead. 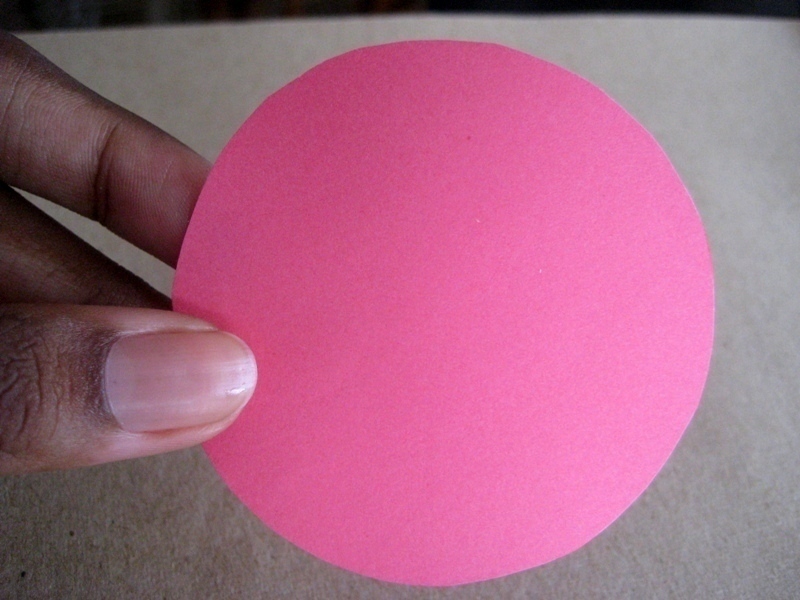 Step Two: Draw a circle onto the paper. The bigger the circle, the bigger the cookie. I used a mini Starbucks cup to get the circle because I wanted mine small. 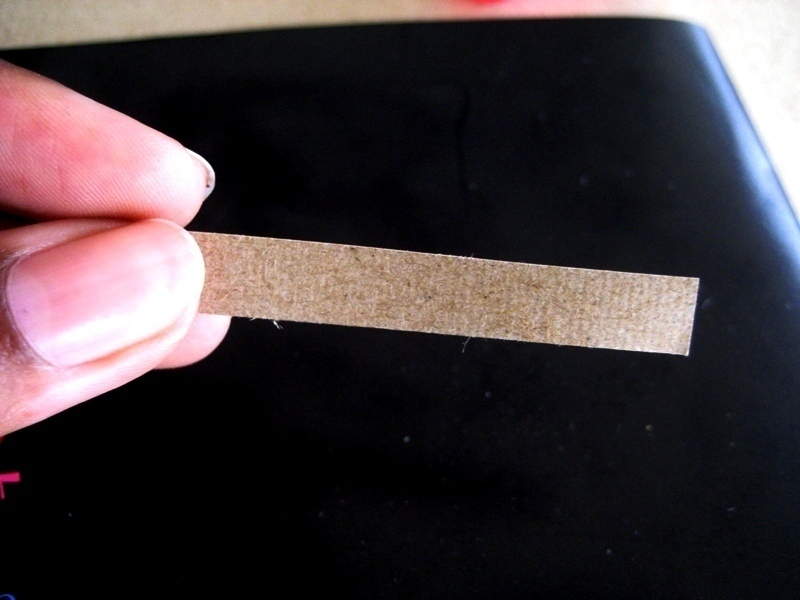 Step Three: Cut it out. 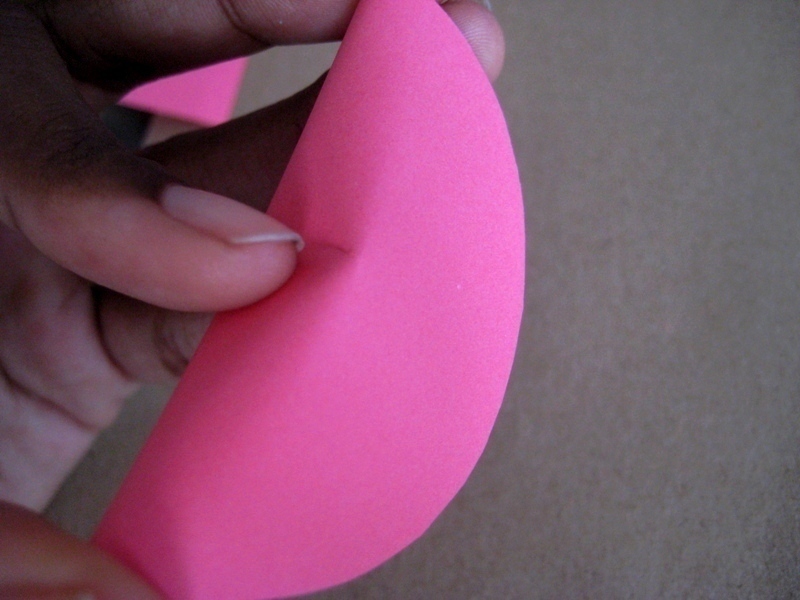 Fold the circle in half, make sure you do not crumple or mess up the circle. 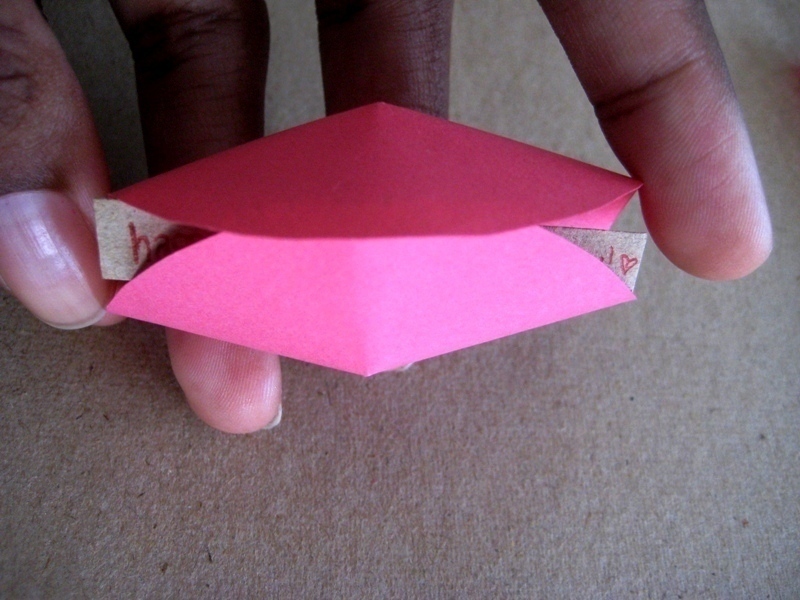 Step Four: Hold the paper as shown in the picture. Make sure you do not press it down. 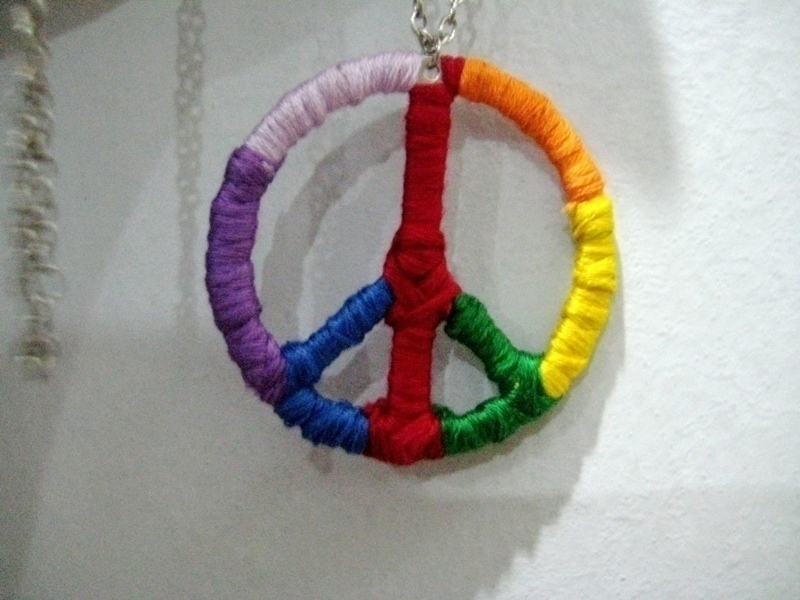 Step Five: Bring the two end sides together. 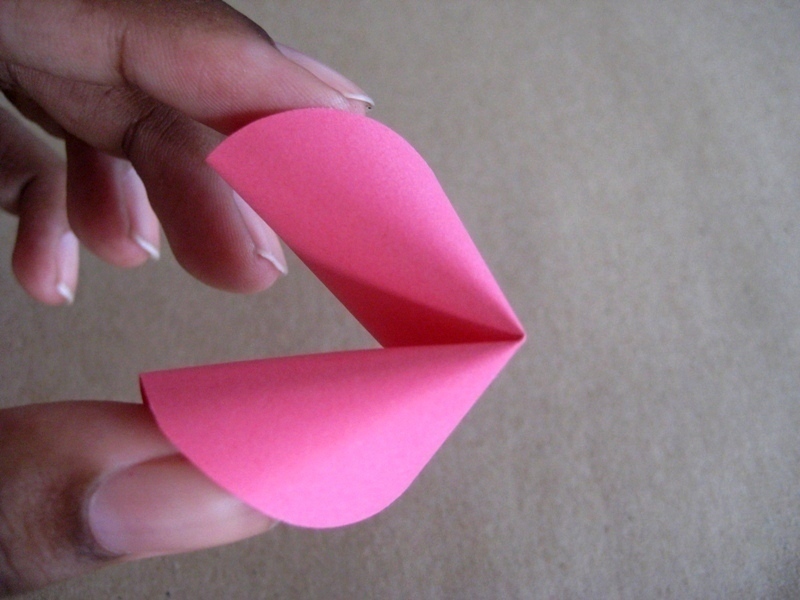 When you do that, the middle part will fold in. 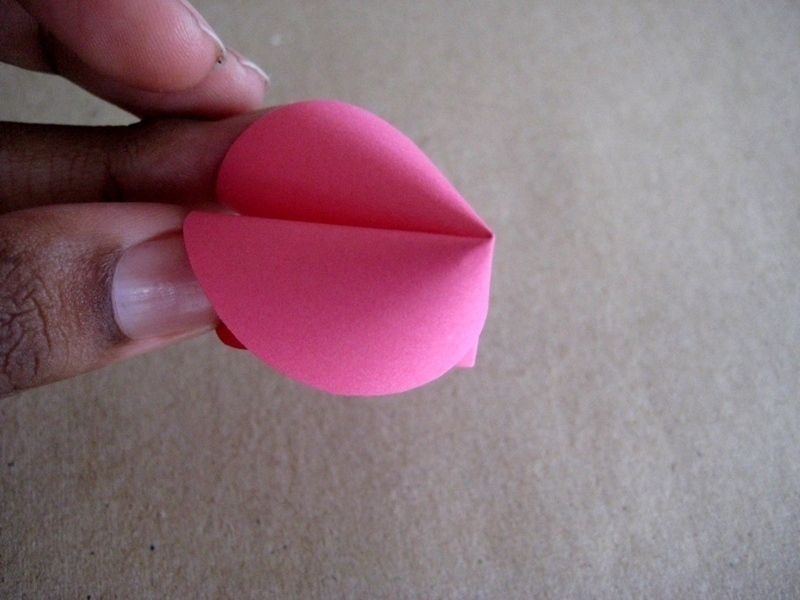 If you want it to look more realistic, fold it slightly the off center, so it won’t be too perfect. 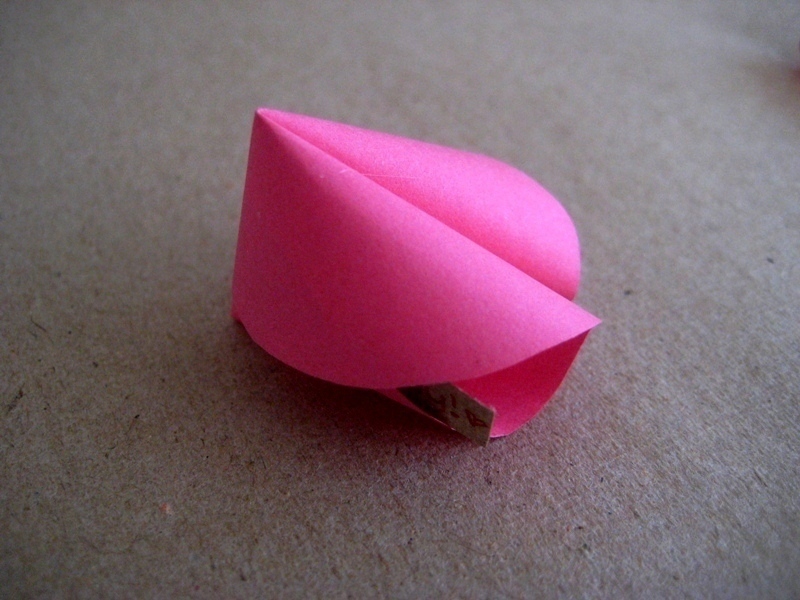 I did mine right in the middle be & it’ll look like this: Step Six: Cut a strip of paper to write your fortune/love note on (mine was along the lines of “You are so lucky you have me!”) 😛 Make sure it’s small enough to fit inside the fortune cookie & long enough to be pulled out of it. 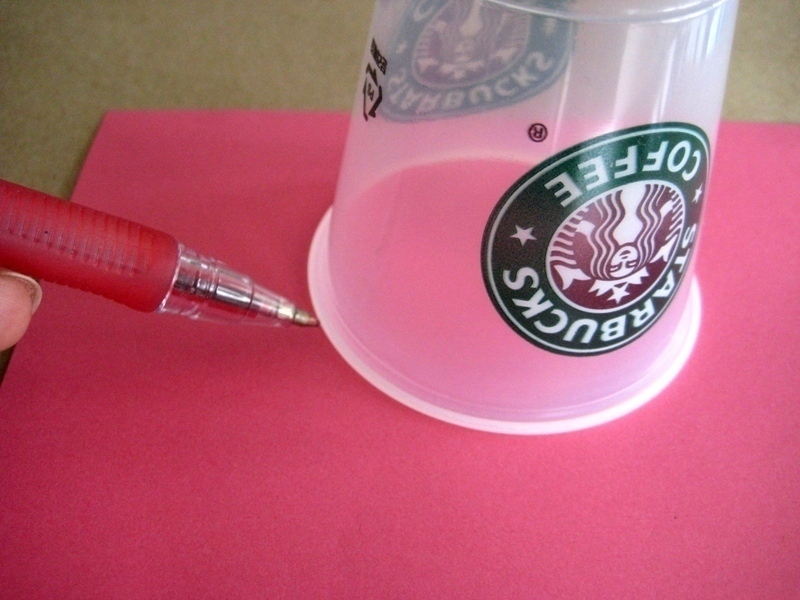 Step Seven: Place the note inside & try bending to see how it looks like. Once satisfied, glue it down. Step Eight: Leave it to dry and then you are done! You can also create a little takeout box to put it in like this: These are a great idea for a Chinese theme party, get together(s) & your options are only limited to your imagination! Also excuse the less-than-perfect pictures since my photography skills were pretty minimal 4 years ago. 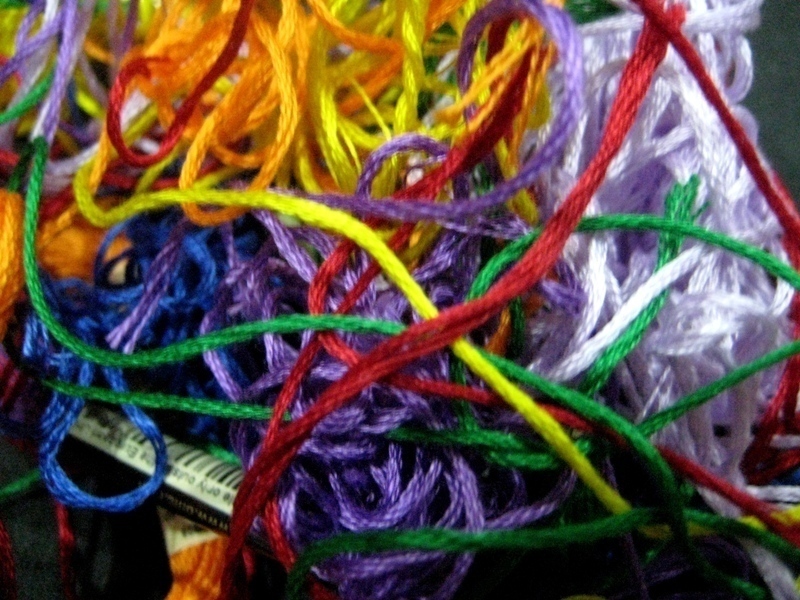 & some coloured yarn. 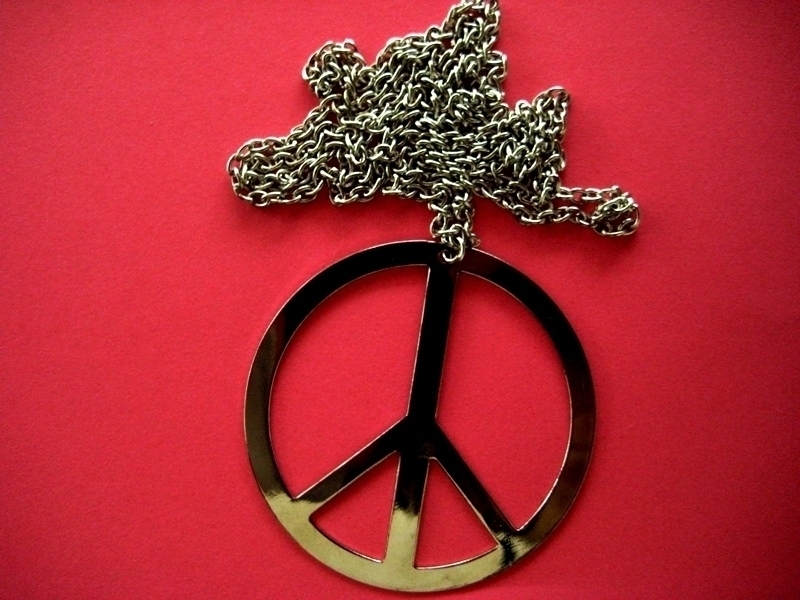 All you need to do is wrap it up the whole thing & it’ll look something like this; Easiest jewelry DIY ever! 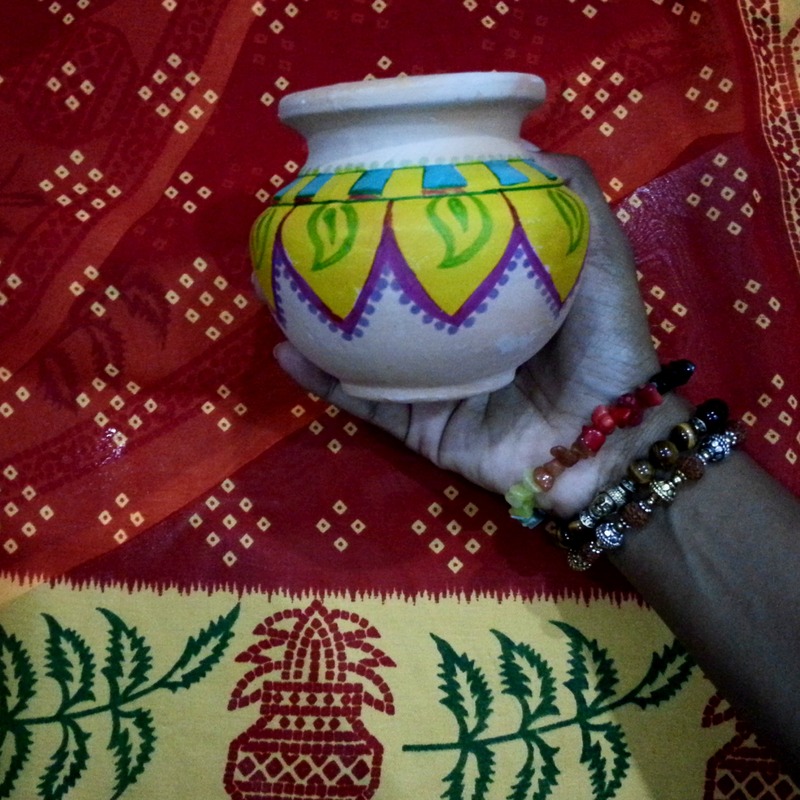 Pongal is one of the most popular harvest festival of South India, mainly Tamil Nadu. With there being Tamils in Malaysia (me included) it’s celebrated here too. 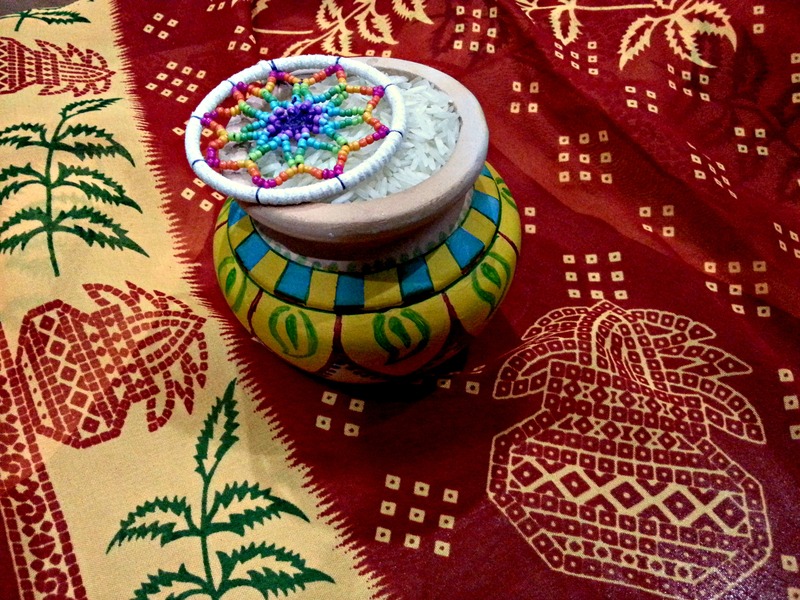 Pongal festival lasts for four days and the celebrations include drawing of Kolam & cooking of delicious Pongal (sweet rice that is boiled in a pot until it spills over). The clay texture allowed me to draw with Sharpies & paint with acrylic. I quite like the Sharpie effect, it’s slightly faded and vintage looking. The yellow acrylic turned out fairly bright in comparison. 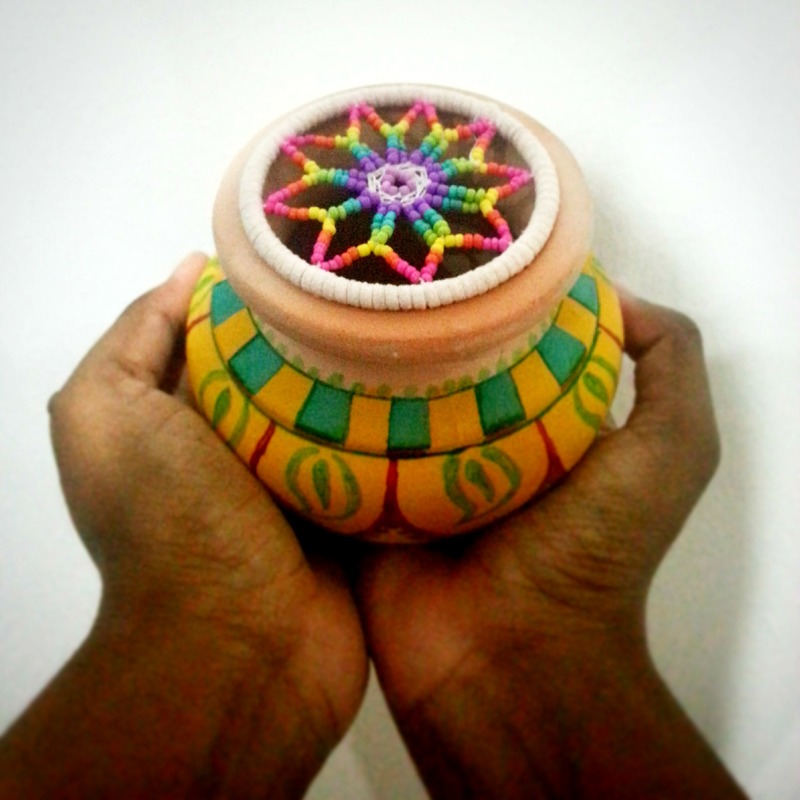 For all of you celebrating, Pongal Valthukal! I’ve been reading up on home remedies, and this particular one seems to be trending. 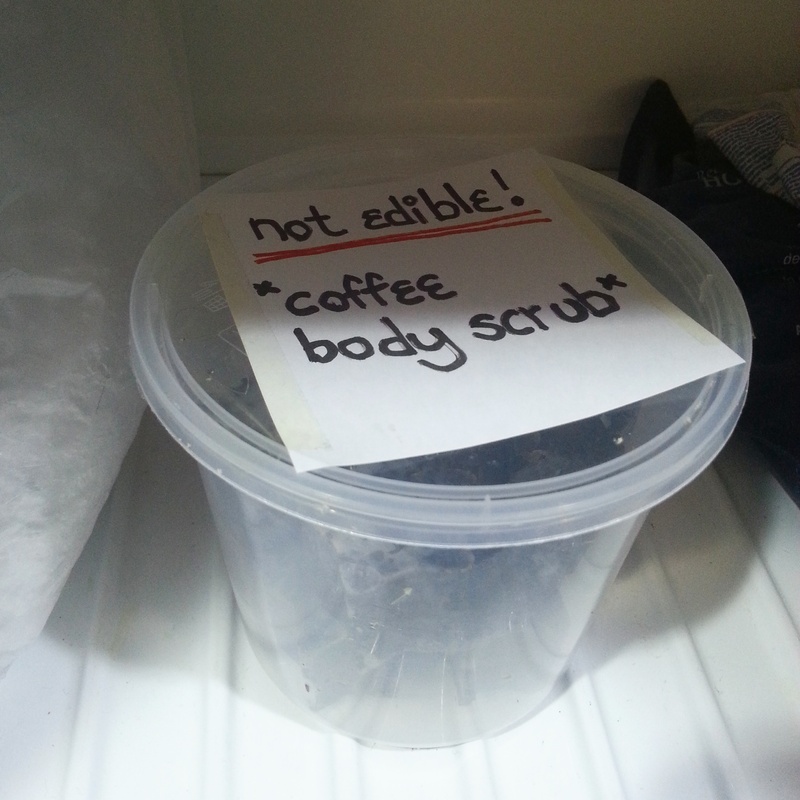 The coffee scrub takes away scars, cellulite and stretch marks! 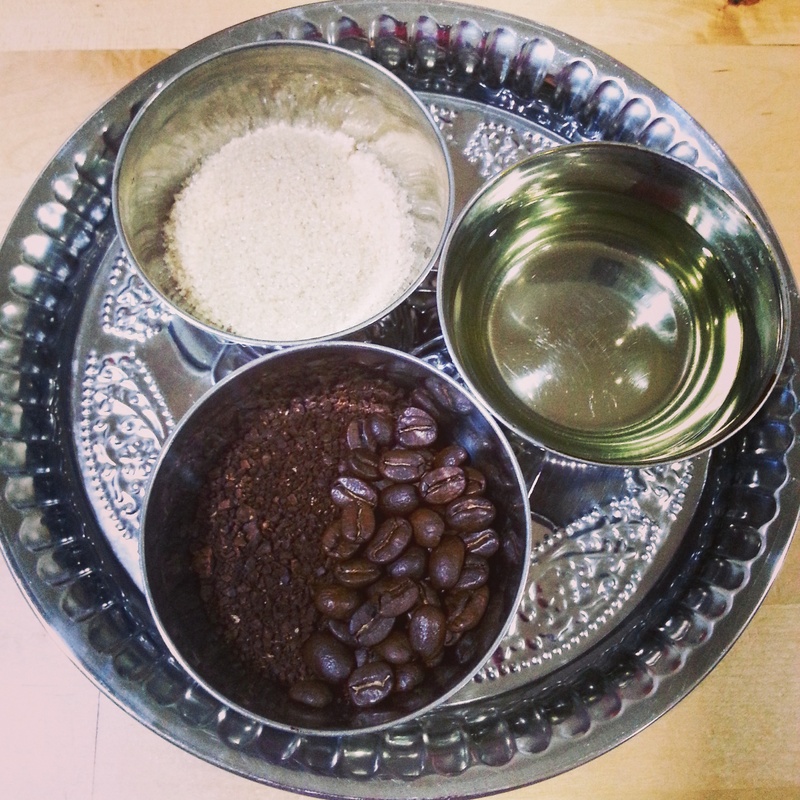 The caffeine in the coffee increases circulation that causes skin to appear firmer. Also, I just really love the smell of coffee! Coffee: I opted for beans because I had a bag left over & I like being able to pick the consistency. I wanted it more coarse for the scrub effect. You can recycle ground coffee as well. It’s completely based on preference. Coconut Oil: Used to replenish the moisture in skin. It also helps heal dark spots and keep skin soft. I use organic coconut oil that I also use for my hair. Also, it smells amazing! 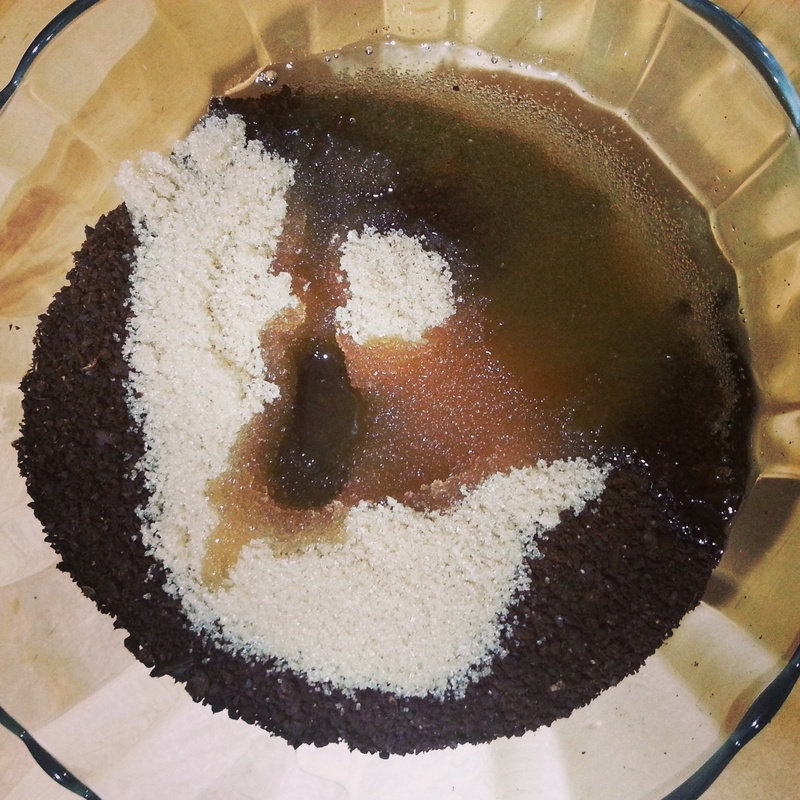 Brown sugar: I used coarse sugar, it serves the purpose as the coffee in terms of scrub. This is optional. Mix it all together. I suggest starting off with the coffee, add sugar and lastly add the coconut oil. Trust your senses. 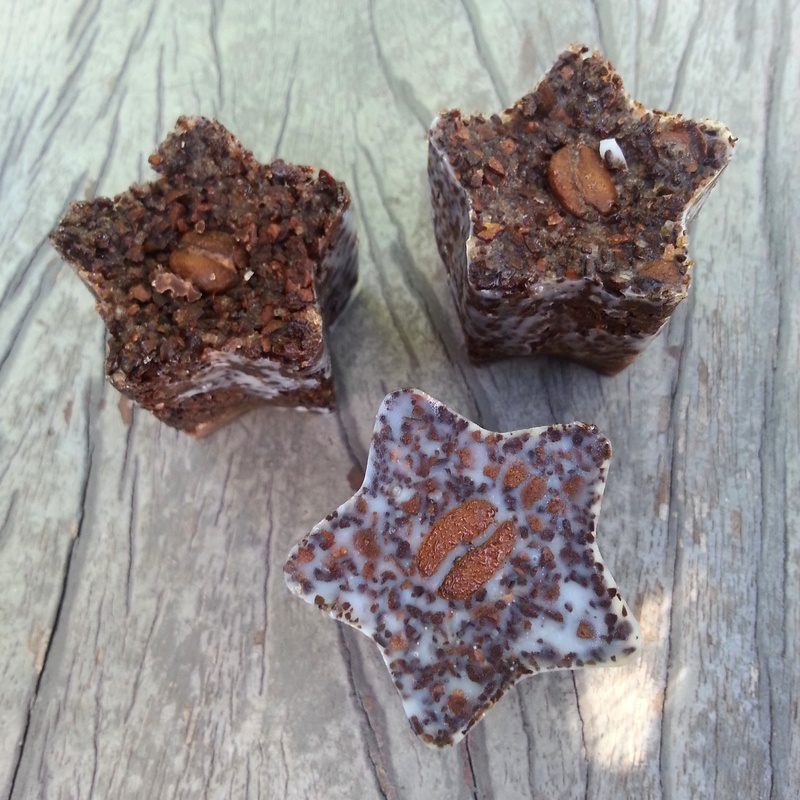 The combination smells amazing but its entirely up to you how much coffee or coconut oil you want to add. I mixed it with my hands to check consistency. 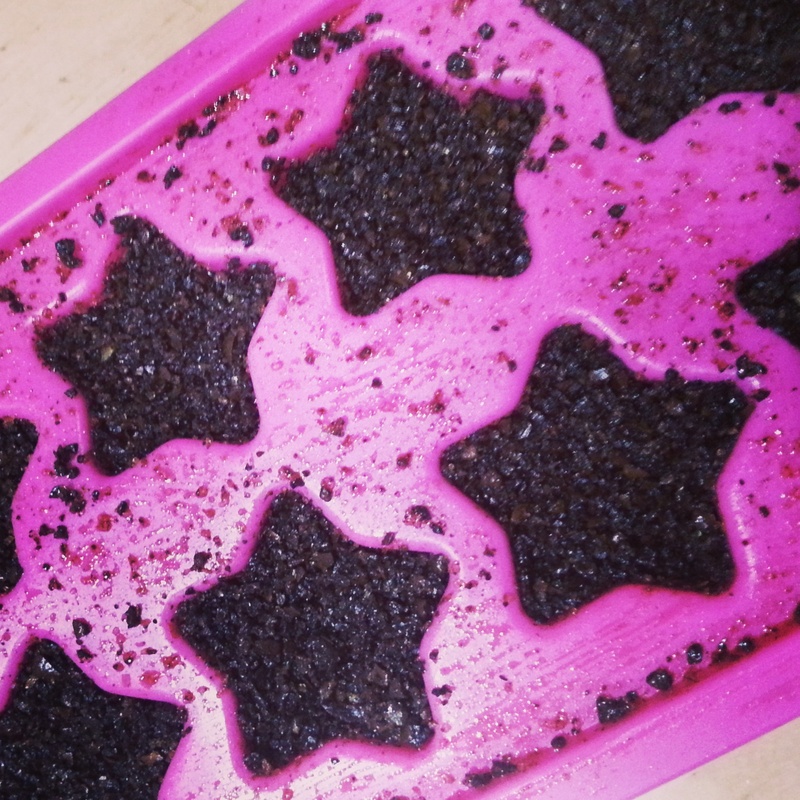 You can just store the scrub in a mason jar but I opted to make cubes because it’s easier to use and less messy. 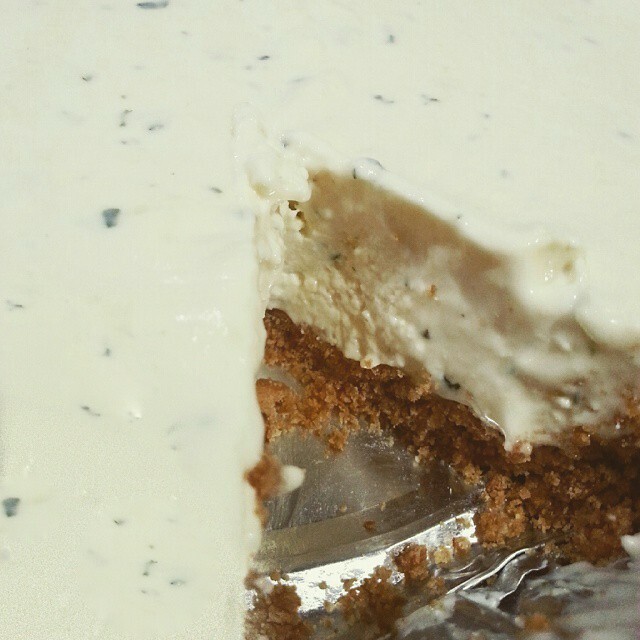 I then put the yummy smelling mixture into a silicone mold. I like these molds because it makes it easier to pop out of the tray later on. I put them in the freezer to let them set. 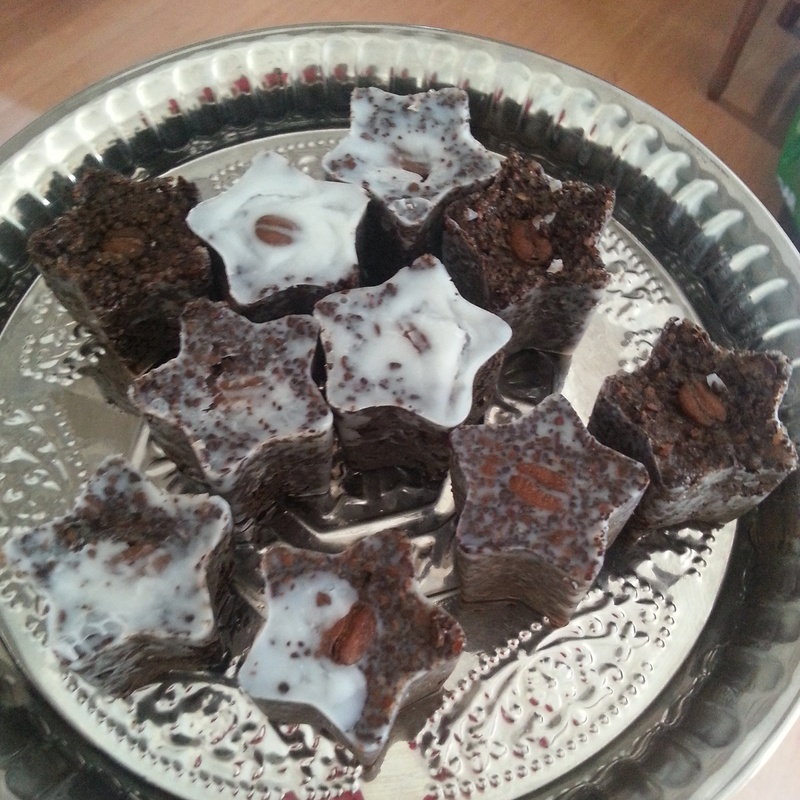 Once firm, I just popped them out of the tray! Look how pretty! You can use different shapes/sizes. I used 2 for a fantastic scrub bath 🙂 Keep in mind your shower will be a complete mess but it’s so worth it! My skin looks, feels and smells great! You can use these once a week or so. After The Star interview previously, the photographer on set, Raymond Ooi called me up to ask me if I’d like to be the cover of the newspaper for a Christmas series. The catch however was that I had to create a tree completely decorated by recycled ornaments in less than 24 hours for the photoshoot. As I’m always up for a challenge to test my creativity levels, I decided to give it a go (after a panic attack, of course). 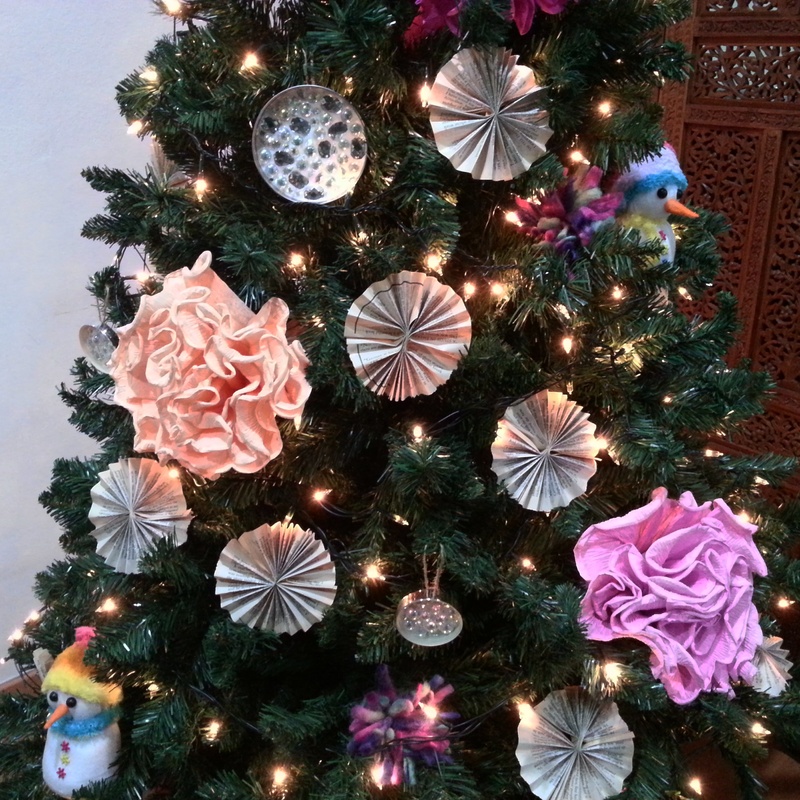 The end result was something I am so proud of; The flower ornaments were made from recycled crepe paper (from flowers I’ve gotten before) & the fan paper flowers were pages of an old book that was coming apart. 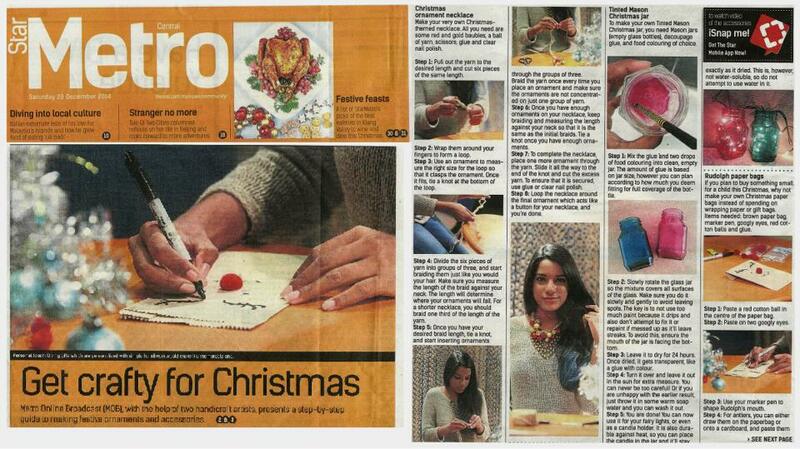 The star was also done using paper but this time cardboard. Some weaving work was required but it was fairly simple. I may just make smaller versions of these for decorations in the future 🙂 These ornaments were made of jar lids! 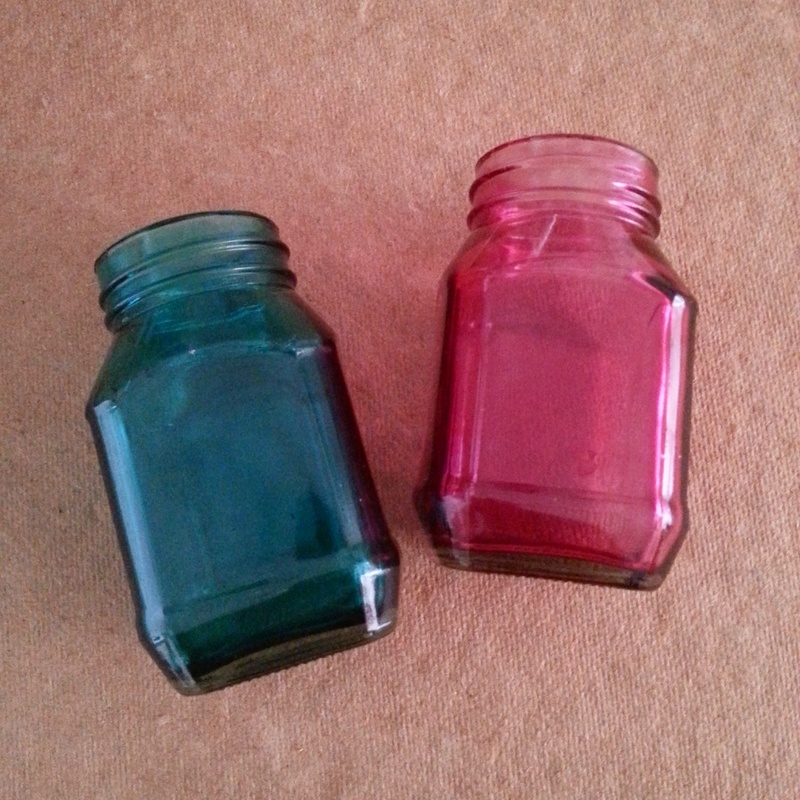 I had made some tinted mason jars previously, and these were leftovers from that. I just cover the area with PVA glue and stuck rhinestones in it to give it some extra sparkle. Alternatively I wanted to use cut up pieces of old CDs but didn’t have enough time to execute it. 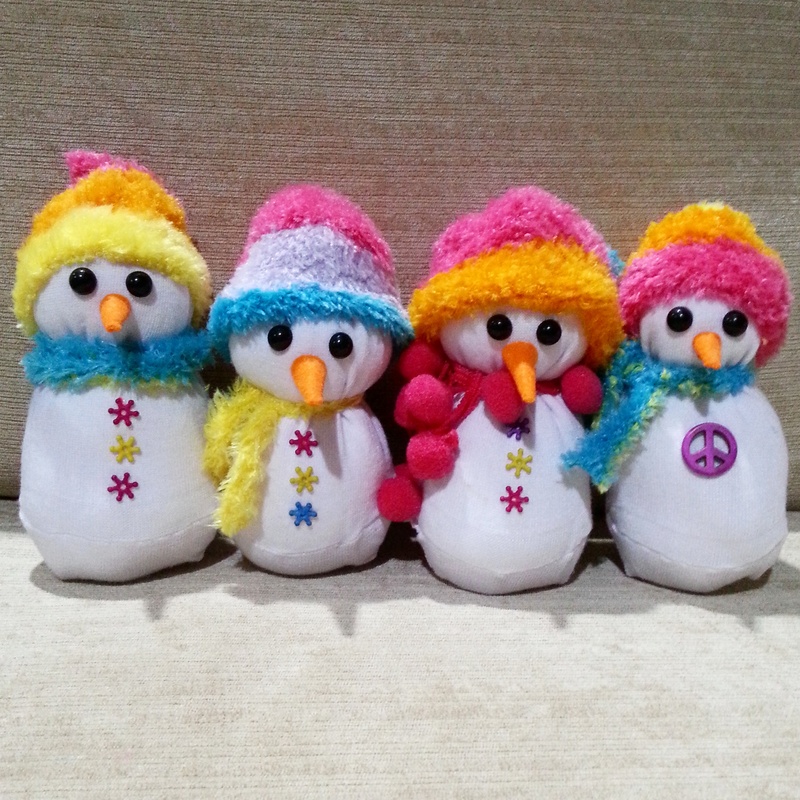 My favourite of them all, are these little sock snowmen I’ve created. 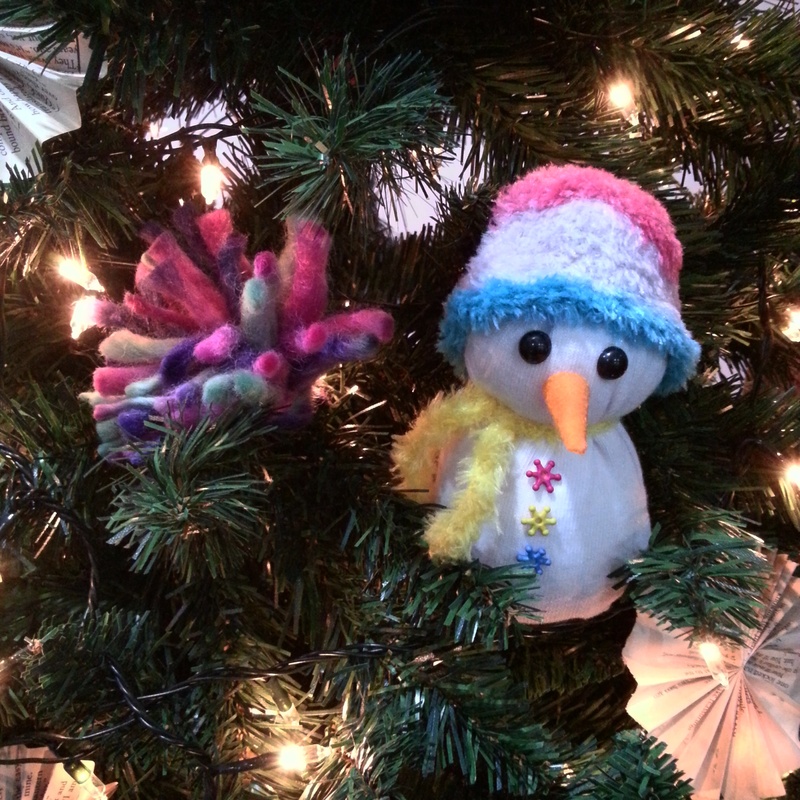 Using socks and leftover craft materials, these little fellas were so easy and fun to do. I love how cute they are! 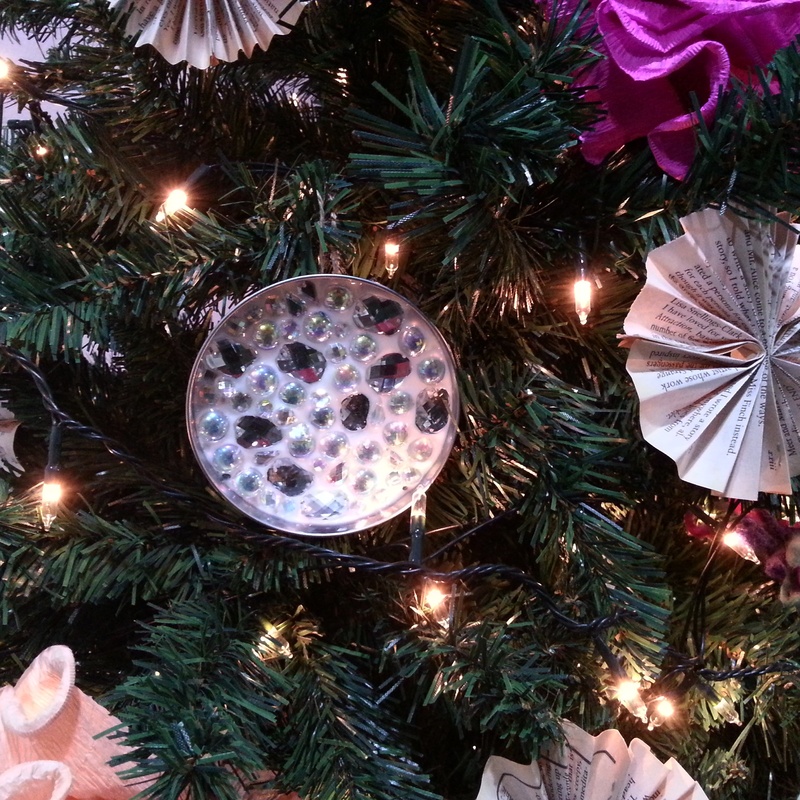 It might just be a tradition in my household to have recycled materials turned into ornaments for a tree. 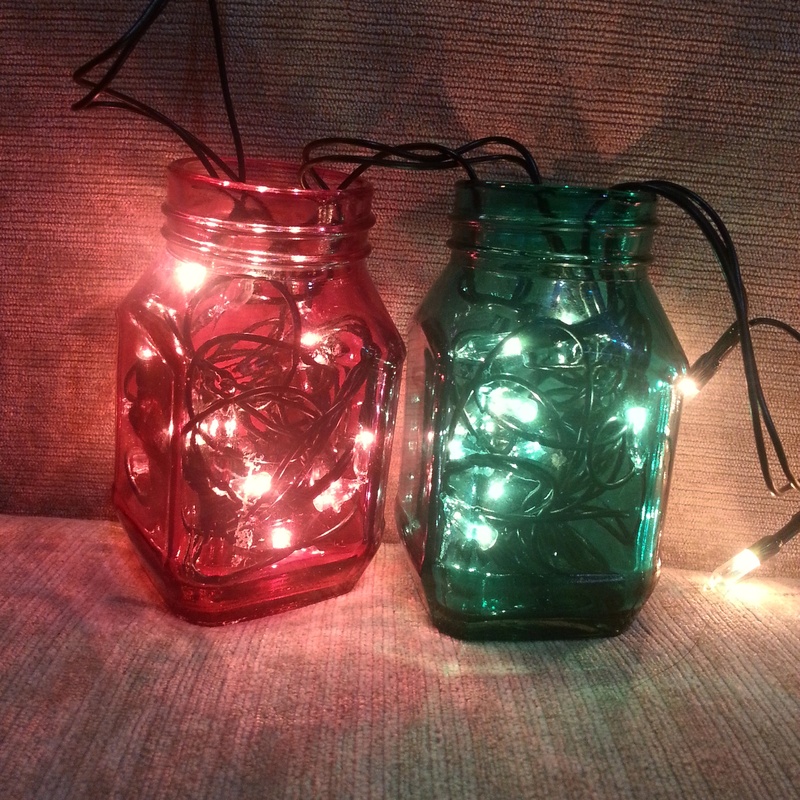 I’ve being attempting several DIYs for Christmas using recycle-able materials & one that I’ve always found really gorgeous are tinted mason jars. Being an avid Pinterest addict, I’ve read several do-it-yourself guides & decided to give it a shot after scouting for the materials myself. – Food colouring of choice. 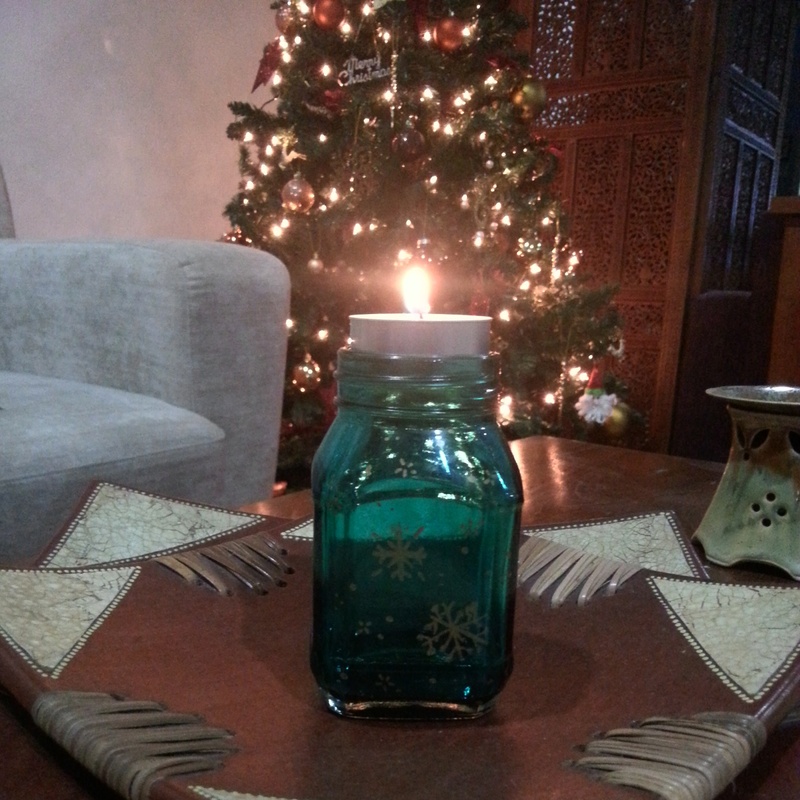 Step One: Mix mod podge and two drops of food colouring into clean, empty jar. The amount of mod podge is based on jar size, however you can plan according to how much you deem fitting for full coverage of the bottle. 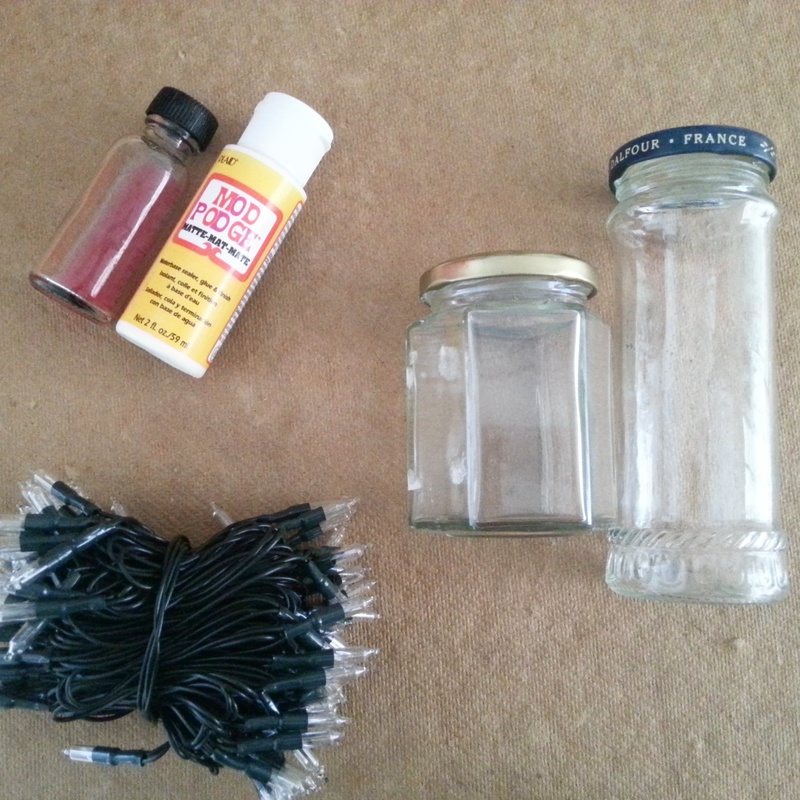 Step two: Slowly rotate the glass jar so the mixture covers all surfaces of the glass. Make sure you do it slowly and gently to avoid leaving spots. The key is to not use too much paint because it drips and also don’t attempt to fix it or repaint if messed up as it’ll leave streaks. 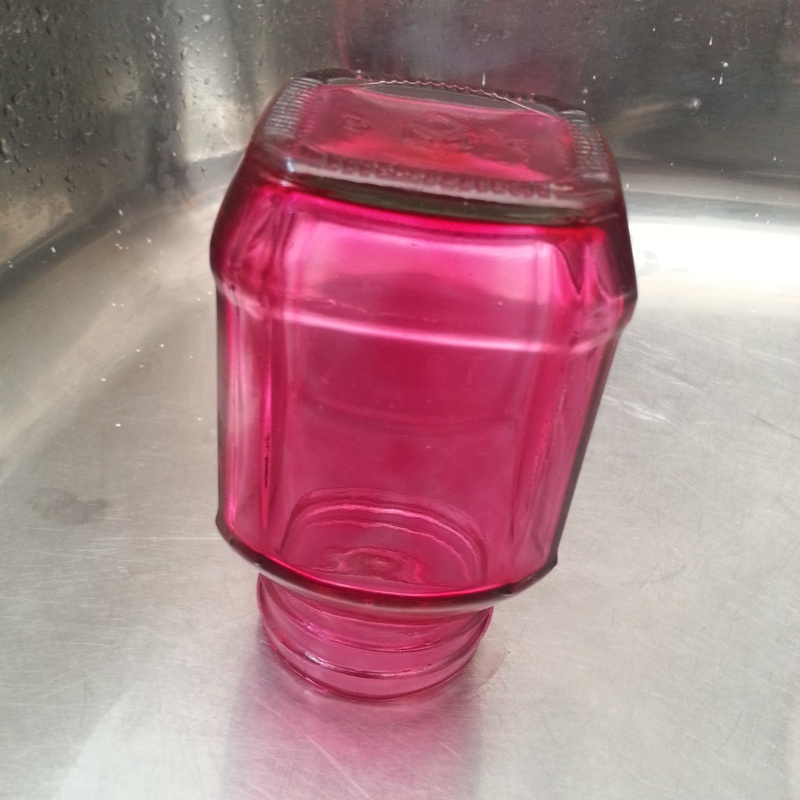 To avoid this, ensure the mouth of the jar is facing the bottom. Step Three: Leave it to dry for 24 hours. I usually use wax paper or just leave it in my sink. Once dried, it gets transparent, like a glue with colour. Step Four: Turn it over and leave it out in the sun for extra measures. You can never be too careful! 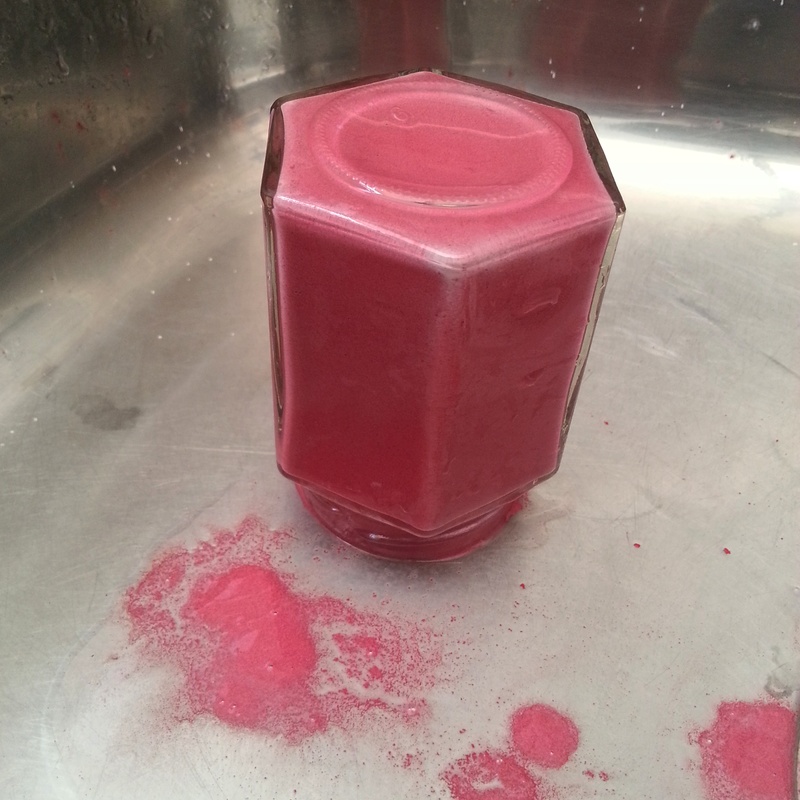 Or if you are unhappy with the earlier result, just throw it in some warm soap water and you can wash it out. November is usually a busy month as I prepare for my Deeper Than Fashion Christmas collection & this year is no different. 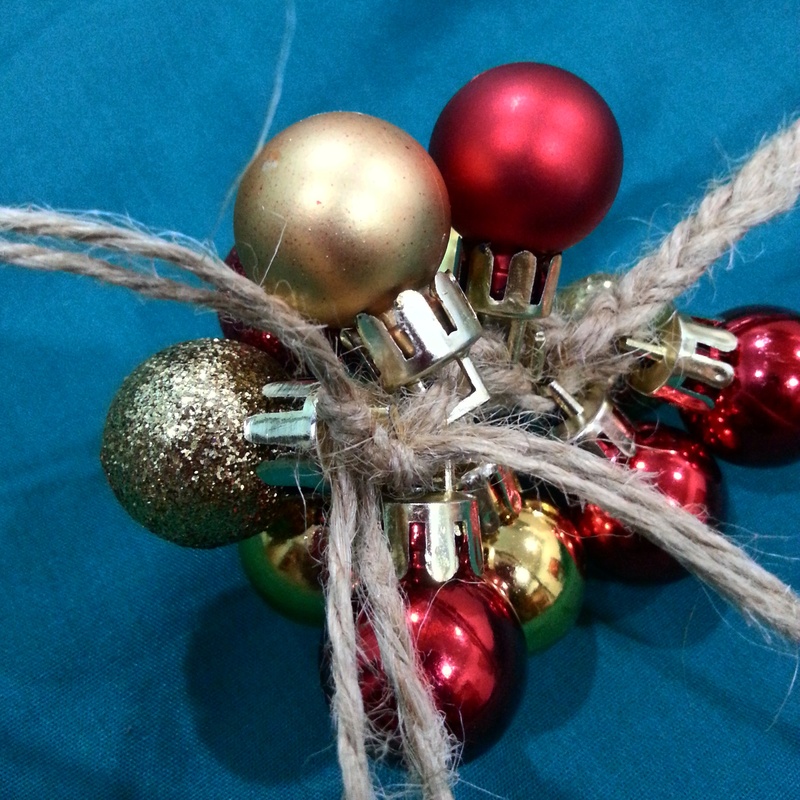 I’ve been preparing my usual packaging of DIY Rudolph paper bags and also decided I had to work on a do-it-yourself for Christmas inspired statement jewelry. 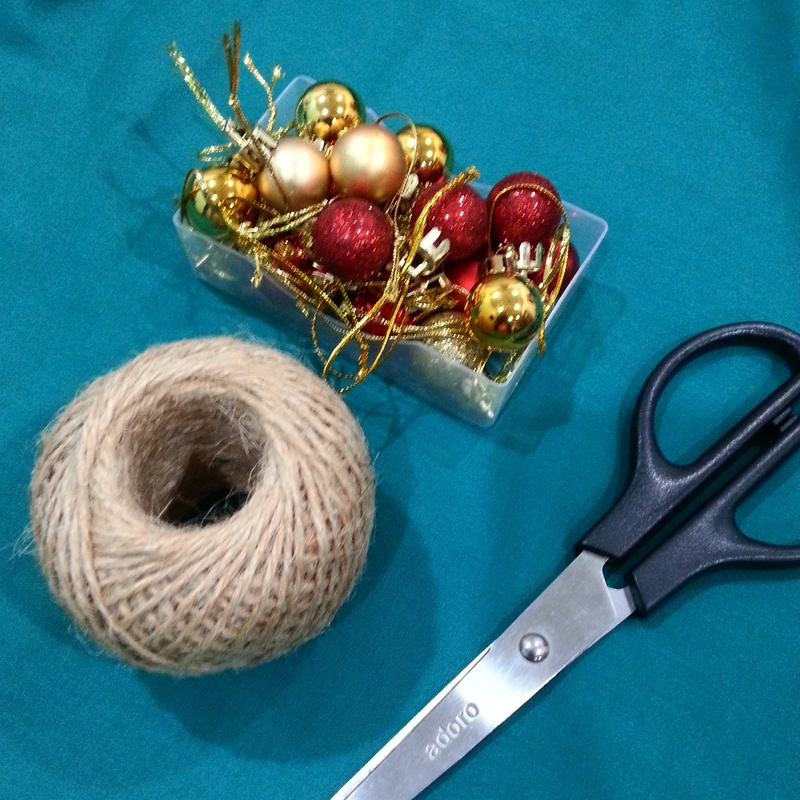 Step One: Cut up the string in 6 pieces. I didn’t exactly measure it. 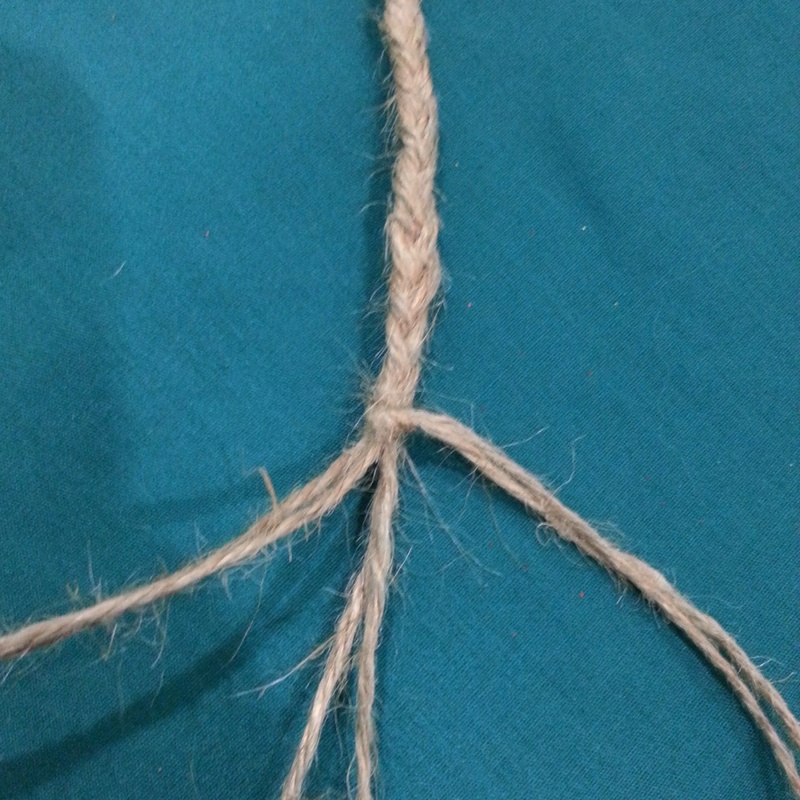 Basically what I did was stretch my hands with the string in it to get similar lengths. Remember, these 6 strings will be tied in half! 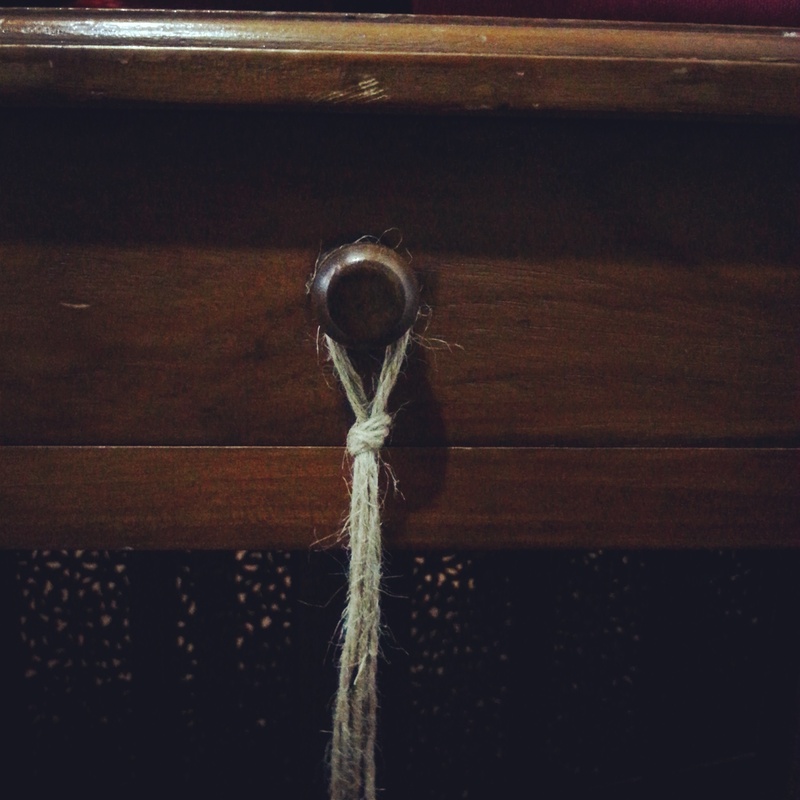 Step Two: Loop it and tie a knot at the end (as shown in picture). 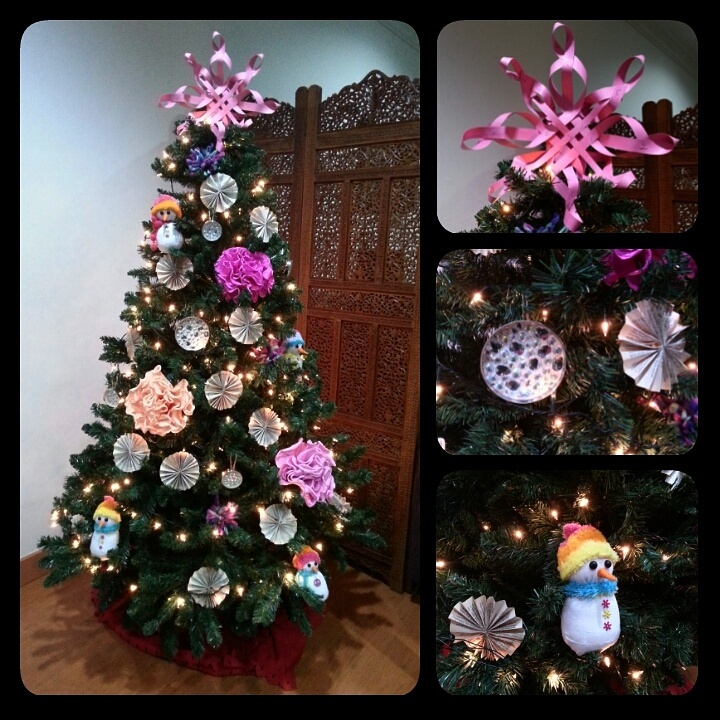 Ensure that one of your ornaments can go through it. Step Four: Start braiding! In this example, I’ve only used two strings (easier to follow), however I used 6 for the final result, so please use 6 as well. 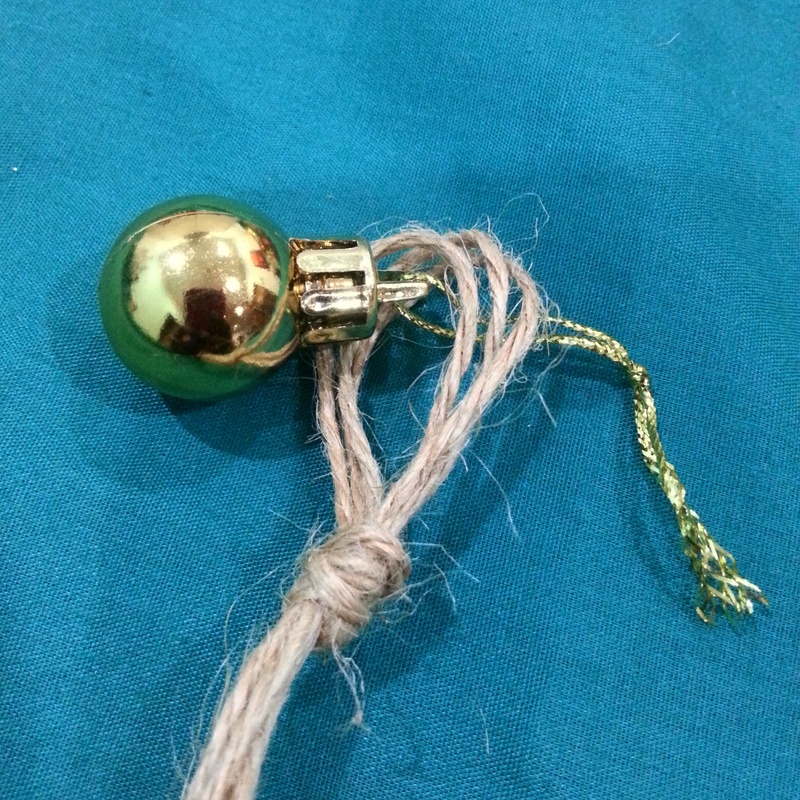 Step Five: Measure the string around your neck to see where you’d like to start adding the ornaments. 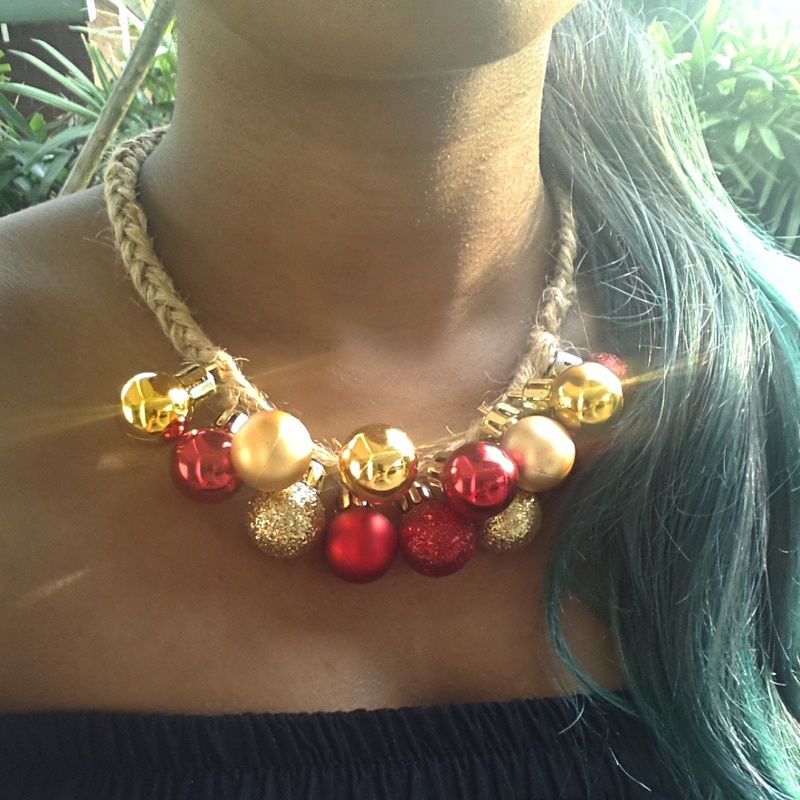 You can do a full ornament necklace, side one or a middle one like I did. 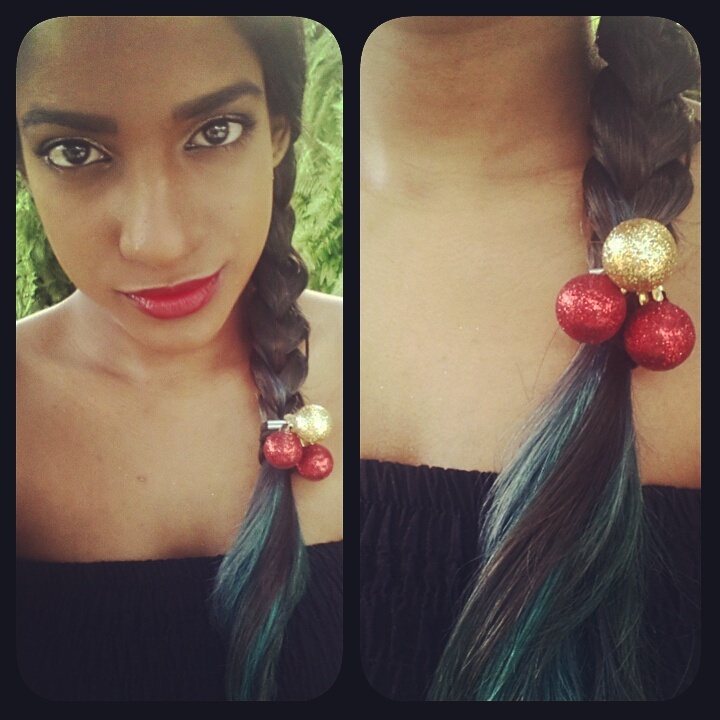 Once you’ve done that, start stringing in your ornaments as you braid. 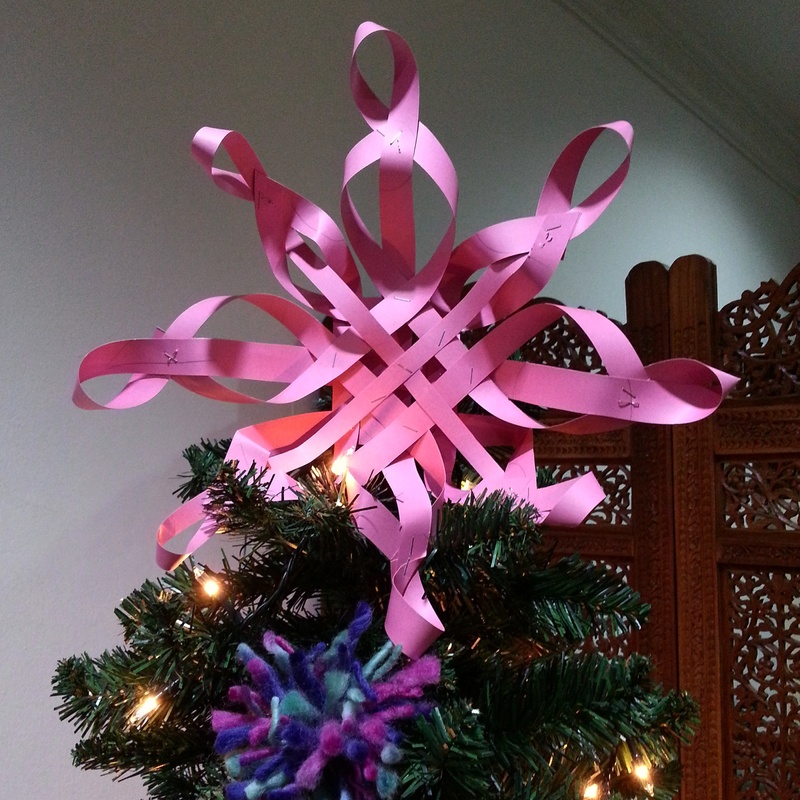 Remember: String ornament, overlap with two brands & then next ornament. This will ensure proper spacing (like mine!). 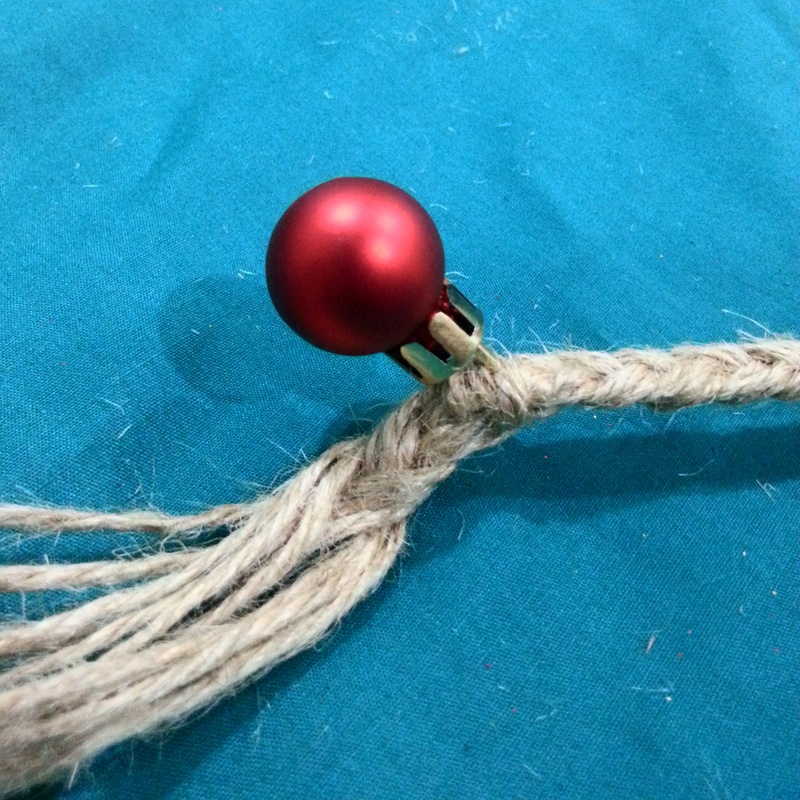 You can however leave it to your creativity 🙂 Step Six: Once you are done and satisfied with how it looks, finish it off with an ornament & this time tie several knots to ensure it is really, really secure!